"I will never travel without this ImmuniPak again! I can’t recommend it highly enough." 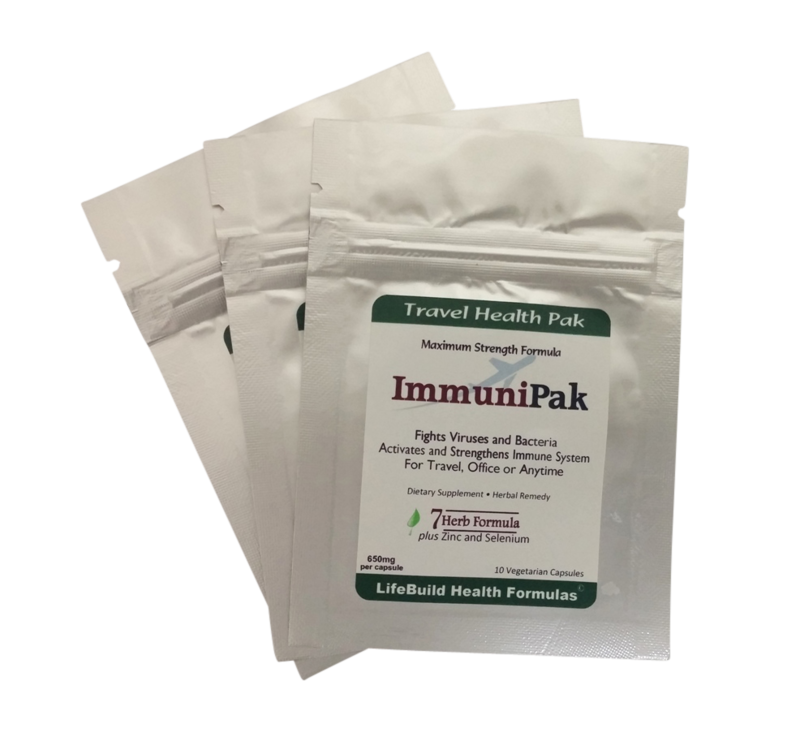 The ImmuniPak formula is great for added protection and immune system support during the cold and flu season or at other times of increased risk such as during travel or other enclosed spaces. Just don't get me sick!" 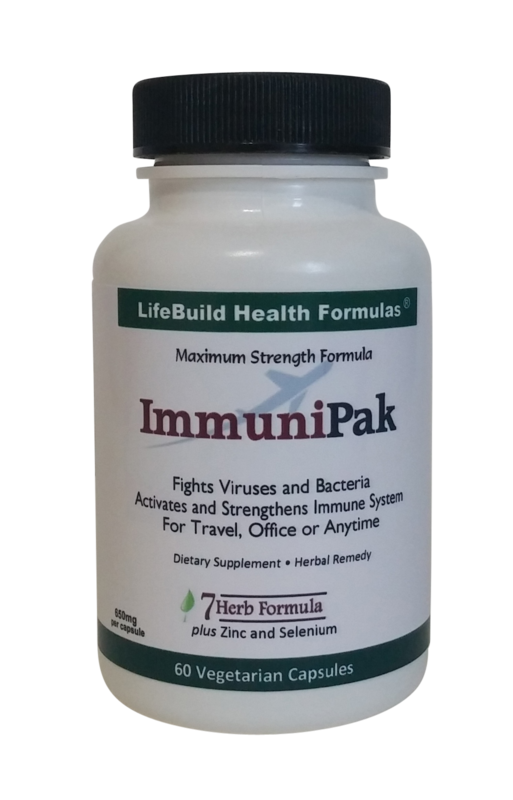 ImmuniPak is a potent blend of 7 active antiviral, antibacterial and immune stimulating herbs. It's formulated to activate, strengthen and support your immune system whenever you need it the most. Plus, it has added Zinc and Selenium for maximum immune support. Don't just fight the symptoms. Fight the virus. Cold medication is big business, with Americans spending close to 3 billion dollars every year on over the counter cold medicine. And many people think that these types of products fight a cold or flu. But they don't. They only fight the symptoms and not the virus itself. In fact, trying to reduce the symptoms may actually be working against the body! 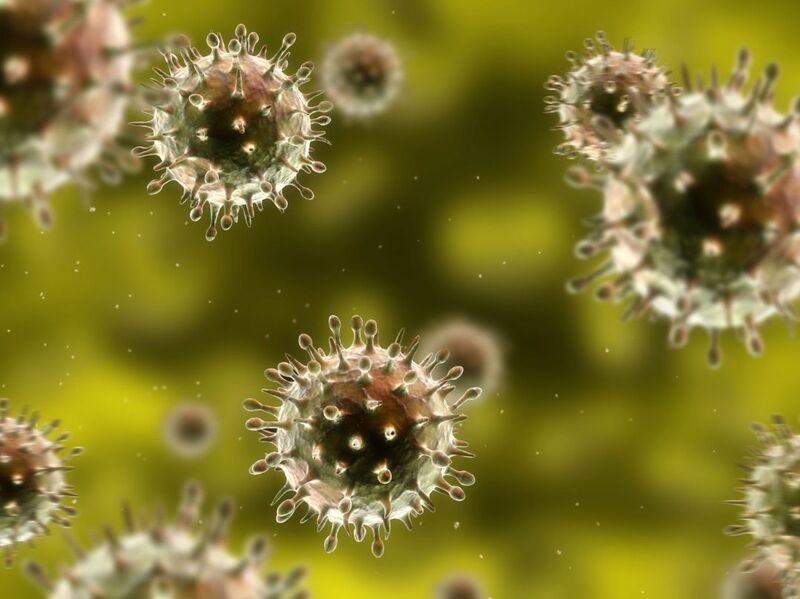 It supports and fights the actual virus or bacteria, not just masks the symptoms. It works with your body, not against it. It even fights fungal as well as parasitic infections such as malaria. Use ImmuniPak whenever you are traveling or are at increased risk, It can also be used as a preventative measure during the cold and flu season. You never know when you're going to get a virus. But it's nice to know you have something that can help when it does! Suggested Usage: As a dietary supplement, take 2-3 capsules twice daily between meals. For a sore throat gargle, empty 1-2 capsule in very warm water, and sip slowly over a few hours. Fights infection. Inhibits the growth of viruses, bacteria, fungus and parasites. Potent antimicrobial. Olive leaf extract exhibits antiviral activity against a whole host of viruses including the cold and flu, herpes virus, as well as effective against bacteria such as E. Coli and salmonella. Strengthens the immune system. 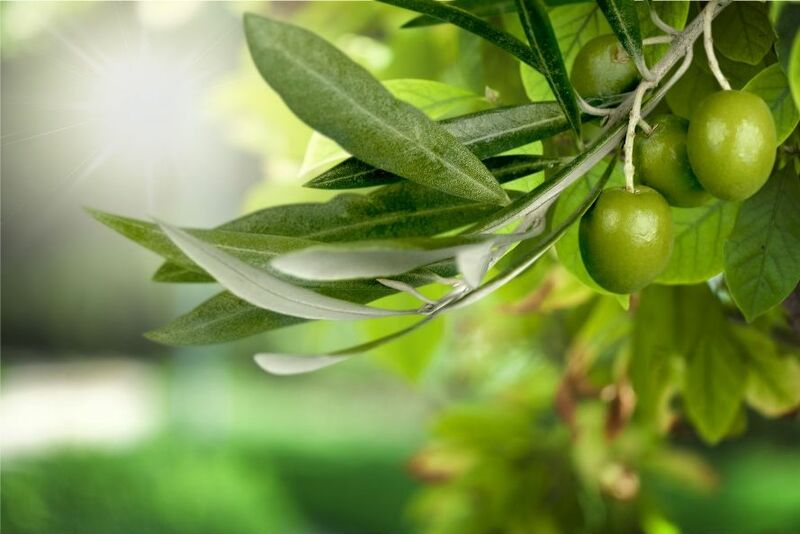 Olive leaf has a long history of effectiveness dating back to early Egypt that has now been scientifically validated. 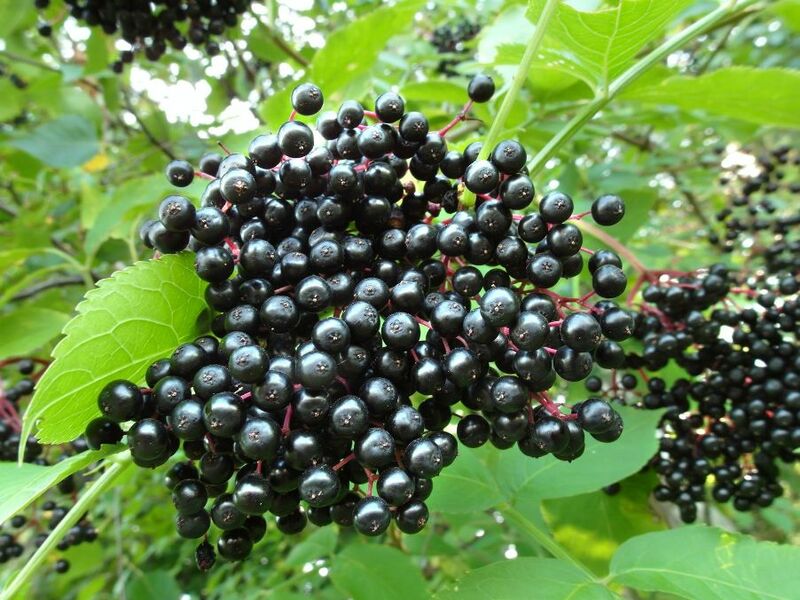 The common black elderberry is another herb with thousands of years of effective use against viruses. And over the last 10 years or so, Elderberry has been the subject of intense study. it is especially effective against the influenza virus. Study after study shows it reduces the duration of colds and flu's. While it acts directly to fight viruses, it also stimulates the immune system and is one of the most effective herbs for both preventing and treating upper respiratory infections. These are enzymes that dissolve the wall of healthy cells. It is what allows the virus to penetrate and infect the cells of your body where it replicates and spreads. But when the elderberry binds to these protein spikes, it essentially disarms the virus because it loses its ability to penetrate the cell wall. Since all viruses have this same mechanism of penetrating the cell wall, it makes Elderberry a useful tool against a whole host of viruses including HIV as well as the Herpes simplex virus. Strong antimicrobial and antibacterial. Stimulates and strengthens the thymus gland, which in turn, enhances immune function. An effective herbal cold remedy. Used traditionally as an antibacterial for bronchitis, as well as for its antifungal and antiviral properties. 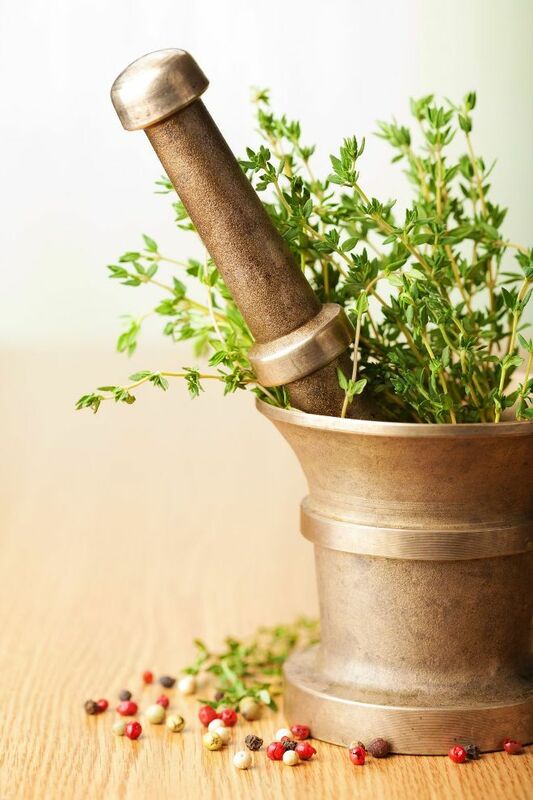 Thyme was used as a natural remedy dating back to the Roman Empire. 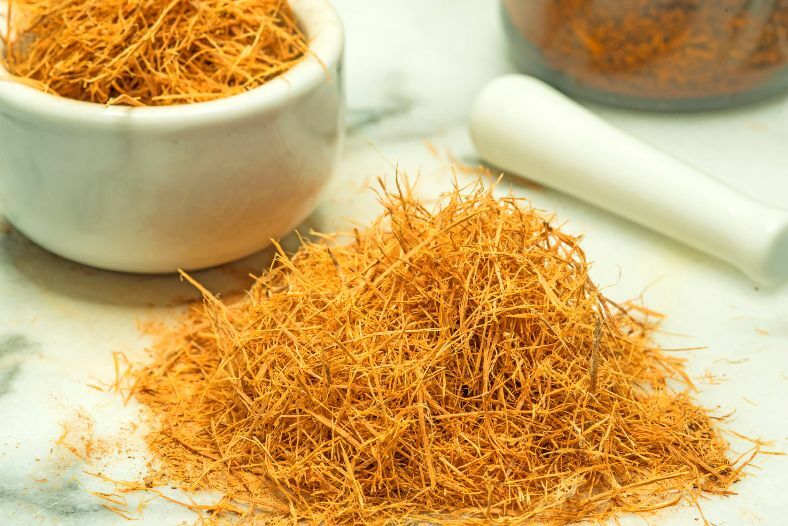 Cat's Claw, also commonly known as una de gato because of its curved thorns, has shown to be one of the most potent herbal immune enhancers. In particular, several of the alkaloids of the bark have proven to be 'suitable for the unspecified stimulation of the immunologic system.' These alkaloids have a marked enhancement on phagocytosis, the ability of white blood cells and macrophages to attack and engulf micro-organisms that are a threat to the body. Cat's Claw also increases leukocytes and especially T4 lymphocytes, which also serves to block viruses. It is also used in the treatment of Herpes Zoster, or shingles. 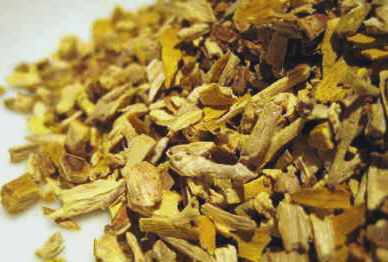 Other uses and properties of Cat's Claw: anticancer, anti-inflammatory, antioxidant, general tonic, digestive aid as well as the ability to cleanse and detoxify the digestive tract, mild blood thinner, lowers blood pressure. Stimulates and strengthens the immune system, blood cleanser, fights infections, relieves upper respiratory symptoms, fights cancer, reduces pain, reduces inflammation. Due to the different chemical structures, we use both Echinacea Angustifolia root and Echinacea purpurea aerial parts for greater benefit. 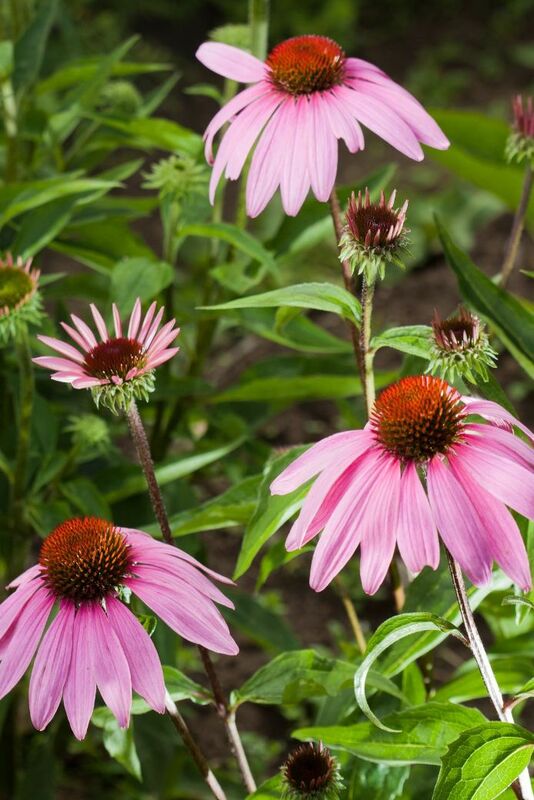 According to studies, Echinacea reduces the chance of catching a cold by 58% and reduces the duration by about a day and a half and is as effective as the prescription drug Tamiflu without the side effects. 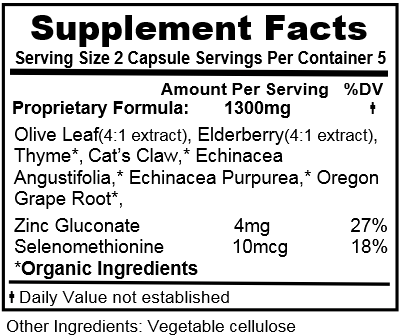 Oregon Grape Root is included in the formula for several reasons. First, it possesses antibacterial, antiviral, antiseptic, and antifungal properties. But it is also included because it has other health benefits as a blood cleanser, liver and gallbladder support, as a digestive aid as well as supporting the thyroid gland. It is often used as a sore throat gargle and externally for various skin conditions. Because of its broad general health benefits it's like a gear that seems to help everything else work better. Zinc is an essential mineral known to benefit health in several different ways. You don't need much, but you definitely need it. In fact, it is estimated that 2 billion people globally are zinc deficient, and that includes developed nations such as America. In several studies, Zinc has shown to cut down the duration of a cold on average by about a day. By comparison, Tamuflu, the leading prescription cold medication only reduces duration of a cold a mere half a day more than Zinc does. And with Zinc you don't get the side effects associated with Tamiflu. Zinc also reduced the rate of the common cold from 61.8% to 38.2%, and was able to reduce the severity of cold symptoms. Even though Selenium is a trace nutrient required in microgram quantities every day, it is nonetheless vitally important. Selenium performs many tasks in the body and plays a major role in your immune system. It also helps fight cancer, has antioxidant properties, helps protect against heart attacks and strokes, and is used as a treatment for cold sores and shingles. In short, when selenium intake is optimal, less disease is likely. Most selenium in human tissue is in the form of selenomethionine. It is the most biologically active form in the body and is the form used in ImmuniPak. In the last half a century, the need for selenium has increased while available selenium from plant-based foods has decreased due to degraded soil composition.